It is rock candy. Half of you have already done this in an elementary school science lesson. But look how old the recipe is! Amazing! There are also a few minor details involving poop that have not survived the years. Take about nine pounds of the most beautiful and whitest sugar (for a beautiful work is created from something beautiful, just as something bad comes from something bad or ugly) and dissolve it in an appropriate amount of water. If you do not consider that the sugar is sufficiently beautiful, clarify it until it has no more sediment. When you have done that, dissolve it completely and boil it again until it acquires the consistency of a syrup. It is better to overboil, rather than underboil it, for then it would candy to a salt. As soon as it is boiled, take an unglazed earthenware pot which has been specially made for the purpose and put a small pine twig, a reed or a small rod into it, so that the sugar may candy in the middle. When you have inserted your chosen rod, then pour the hot sugar into the pot, put the lid on it and seal it roughly with lime, merely in order to keep the heat inside for longer, and immediately bury it under some warm manure, be it in a public or private place. If you think that the manure is not hot enough, pour some hot water over it and see that there is a good pile of it, so that the pot may stand in the middle - so cover it up well and leave it for nine days and nights. At the end of that time take it out of the dung heap, open the pot and pour out the syrup which has not yet candied and you will see that of the nine pounds of sugar, about five or six pounds will have candied. 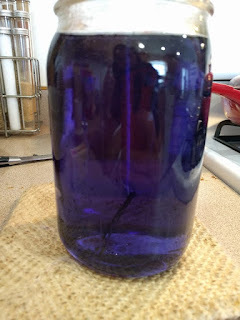 When you have properly drained the syrup out of the pot, get some good hot water and wash it out two or three times, so that it does not become affected by the syrup adhering to it. 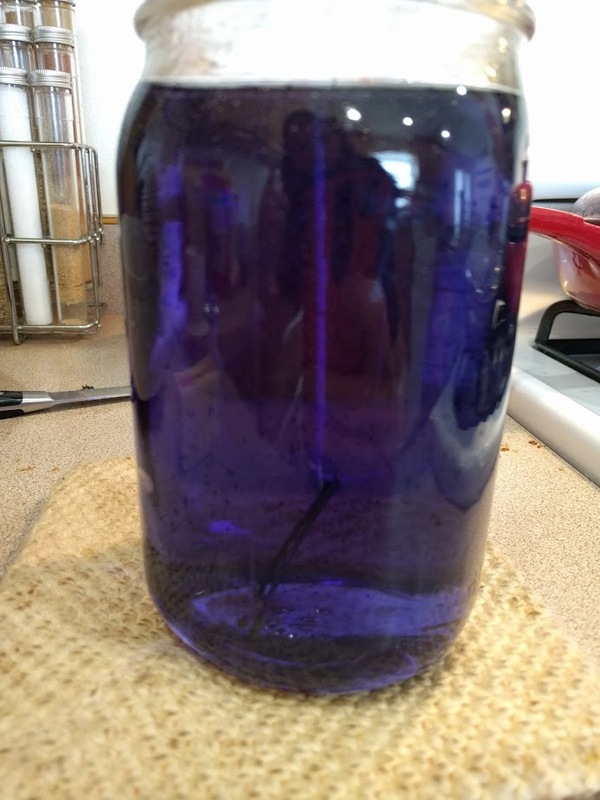 Add this water to the syrup and if you want to make this confection you must do it this way and not another way. You can make it another way, but that will cost at least as much. You should also know that if the sugar stays under the manure for longer than nine days and the manure were hot, it would not candy, for the steam from the manure contains moisture, which penetrates everything, so the sugar would need an even longer time to candy. Verdict: Unfortunately, I am fresh out of manure. What a shame. Instead, I just stuck my jar in a cupboard. And... it's rock candy! Super easy! It tastes terrible, actually, because I tried using lavender oil to flavor it. I was all, how much should I put in? Couple drops? More? *chug chug chug* I got carried away. Maybe when I can scrub the taste out of my mouth in a few months, I'll try flavoring something else with lavender. It lingers. 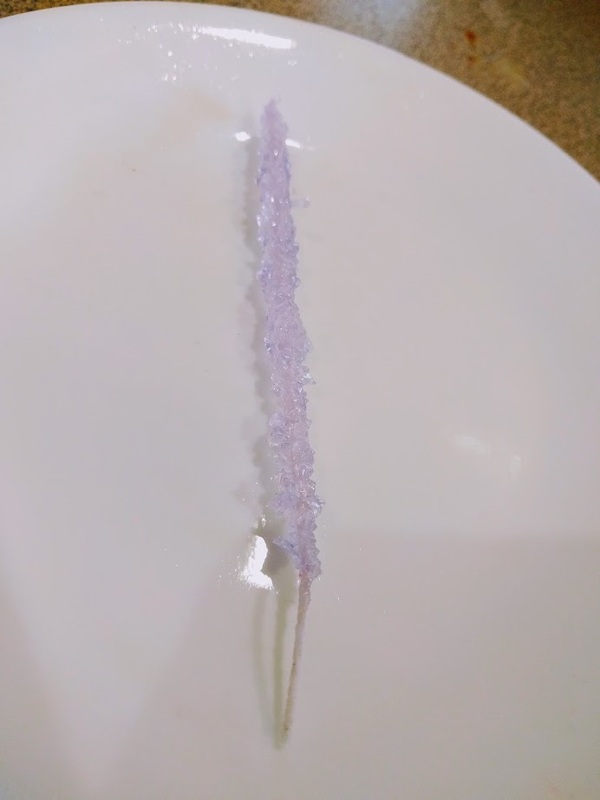 For rock candy instructions, please google "rock candy."